We want to express our appreciation to all of those who generously donated their time and or toys to the Ed Pastor Elementary Toy Drive in South Phoenix. Your personal commitment was incredibly helpful and allowed us to exceed our goal. 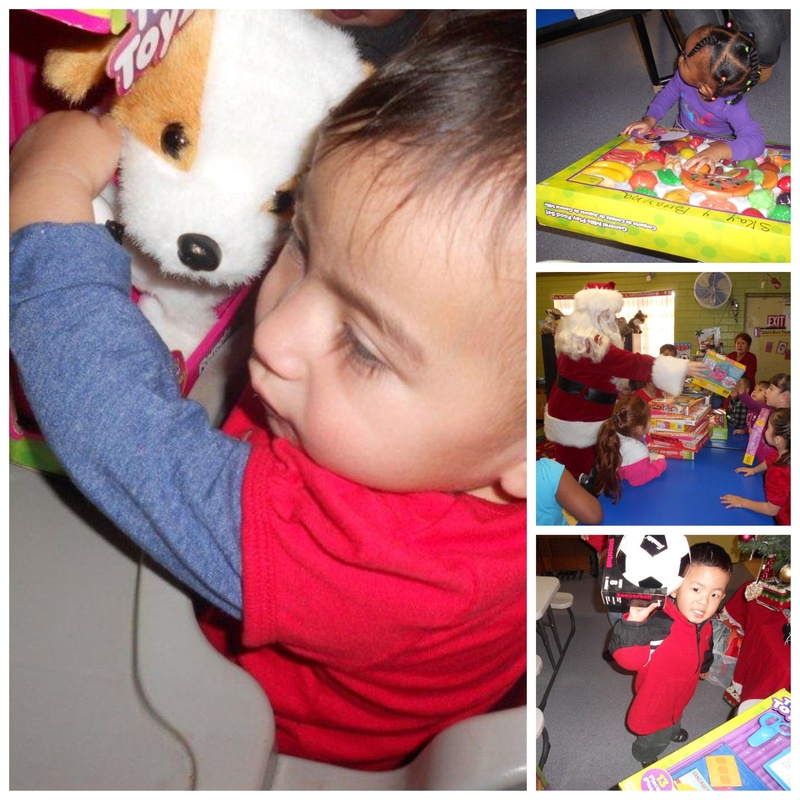 We committed to deliver a toy to each and every student from Kindergarten to 3rd grade. We ended up collecting 370 toys during our drive. Not only were the Ed Pastor Elementary students able to enjoy a Christmas gift, there was enough toys for a secondary donation given to Nana Lupe’s Day Care. Thank you A.Z. and Associates staff, agents, contractors, and friends! Carla Araujo/Cindy Herrera – You did a phenomenal job organizing and donating your personal time and donations to this toy drive. You are responsible for making Christmas happier to all these kids. We are all very proud to have assisted you in brining Christmas Joy to nearly 400 students. Thank you! 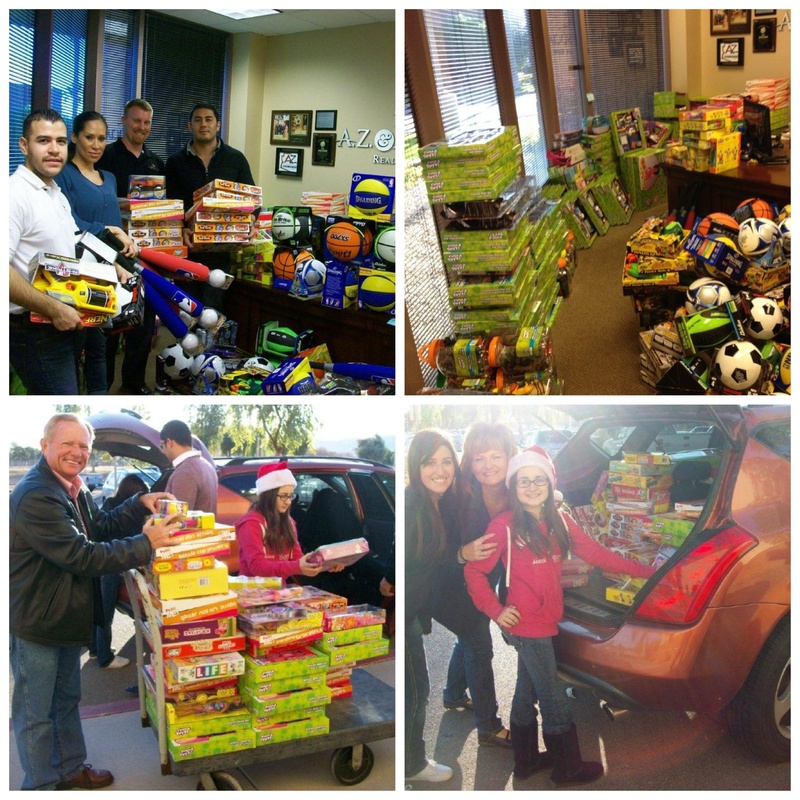 John and Heather – Thank you for inspiring us to take this toy drive to another level. A special thanks to a donor who wishes to remain anonymous. You brought over a hundred smiles to these students. Thank you again! Barracuda Pool Service - Thank you for your time and donations. House Doctor Exterminating – We appreciate the support. Shane (AKA Santa Claus) and Erica Saunders – You really added the icing on the cake. The smiles your Santa Costume created on these students were amazing. 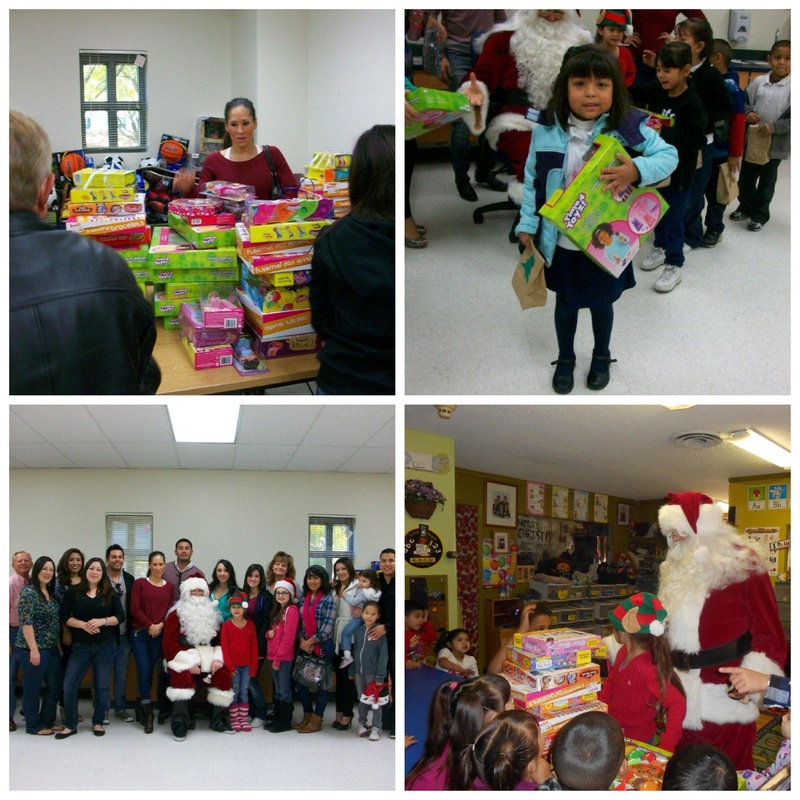 Ruben Luna, Jonathan Luna, Fabiola Martinez – Your toys were a hit! Thanks for your time and efforts. Bruce Lichlyter – Nice job of taking on a leadership role at the time of delivery. Your efforts did not go unnoticed. Dustin Horne – We are always grateful for your friendship and generosity. We would like this opportunity to thank the following people and businesses donated to our 2011 Christmas Toy Drive thus far. We are still well short of the 308 toys we have committed to donate to Ed Pastor Elementry School. Again, Ed Pastor Elementary is located in a low income neighborhood and heavily relies on these donations during the Holidays. We have chosen to sponsor a total of 308 students representing grades K-3rd (155 boys and 153 girls) and we need your assistance. Please purchase a toy worth $10 for a boy or a girl and drop it off between December 6th and 20th at the address below. You may also send a monetary donation, please write check directly to A.Z. & Associates and mail directly to our office. Please notate on your check "Ed Pastor donation". Any monetary donations over $600 will receive a donation form from Ed Pastor elementary. All monetary donations will be used to purchase toys on your behalf. Any additional proceeds will go to Ed Pastor elementary to provide for the families in need during the holidays. If you are interested in joining us at Ed Pastor Elementary during the time the children will be receiving the toys, please call me for details. This will be a great opportunity for you to see how your donations impact these children. All 308 students will be receiving a toy during our drive on December 23. As most of you know, A.Z. & Associates was able to feed 85 families in need this year at Ed Pastor Elementary. With your assistance we provided each family with a frozen turkey, bag of potatoes, canned vegetables, stuffing, biscuits, and gravy to enjoy Thanksgiving in their own home. Thank you for your generosity for those who donated, you are very kind. I would also like to say thank you to the agents and employees from our office that volunteered on delivering the items to the school. During our visit we learned the children will not be receiving donations from Toys for Tots this year. Ed Pastor Elementary is located in a low income neighborhood and heavily relies on these donations during the Holidays. As you can imagine we were heartbroken to hear the news and then inspired to make a difference for these students. A.Z. & Associates is organizing a Christmas toy drive for the children at Ed Pastor elementary. We have chosen to sponsor a total of 308 students representing grades K-3rd (155 boys and 153 girls) and we need your assistance. Please purchase a toy worth $10 for a boy or a girl and drop it off between December 6th and 20th at the address below. You may also send a monetary donation, please write check directly to A.Z. & Associates and mail directly to our office. Please notate on your check "Ed Pastor donation". Any monetary donations over $600 will receive a donation form from Ed Pastor elementary. All monetary donations will be used to purchase toys on your behalf. Any additional proceeds will go to Ed Pastor elementary to provide for the families in need during the holidays. If you are interested in joining us at Ed Pastor Elementary during the time the children will be receiving the toys, please call me for details. This will be a great opportunity for you to see how your donations impact these children. All 308 students will be receiving a toy during our drive on December 23.